The Arts & Humanities Research Council and People’s Palace Projects have just closed applications for an unique opportunity: the Social Change through Creativity and Culture is a new project that brings together academics, artists and creative practitioners from Brazil and the UK to initiate and collaborate on creative projects that directly address social challenges in specific Brazilian social contexts. The project will immerse individuals in an innovative lab experience, intended to catalyse cross-disciplinary collaborations and dialogue, during an intensive 10-day period. Over the course of the lab, participants will be tasked with developing a practical idea to take forward together through further collaborative research over the following months. Each project team will be given time and space to disseminate outcomes at the Multiplicidade Festival, taking place in Rio de Janeiro at the end of 2016. Since the turn of the century, Brazil has undergone a period of extremely rapid economic development driven by strong agricultural and industrial sectors. It is estimated that Brazil is currently the seventh largest economy in the world, the largest in Latin America and, prior to the recent economic downturn, was able to point to a marked year-on-year growth in job opportunities and increased levels of income. As with many countries undergoing such a rapid period of development, Brazil also has a wide range of social issues and inequalities that affect a significant portion of the population. Rapid urbanisation has aggravated many of the indicators of poverty, and despite the success of recent government programmes, there are still high numbers of the population without access to adequate housing, sanitation, health care, and public transport. Although state education is free in Brazil, there is a considerable disparity between the quality of schooling offered in poor and socially marginalised neighbourhoods. Poverty is also a major contributing factor to alarming levels of violent and lethal crime, disproportionally affecting poorer communities and characterising victims in terms of their race, gender and age. In the last two decades, artists and cultural organisations have often been linked to social and economic development in Brazil. Whether it is in the resolution of conflict, renewal of the urban landscape, reversal of economic decline, re-signification of lives and territories, the promotion of health and wellbeing, innovation in sustainable development, or testing the boundaries of design and new technologies, Brazil continues to invent, imagine and inspire new ways of thinking about the arts and creativity in contemporary society. We’re looking for open-minded, creative-thinking Arts & Humanities researchers and creative practitioners from the UK and from Brazil, who have experience of working within a non-academic environment and/or cross-cultural settings. You could also be someone who is new to these types of challenges and is keen to broaden your horizons and enrich your research experience. We are specifically seeking open, entrepreneurial individuals with a strong desire and capacity to make meaning and adapt learning in new, multi-disciplinary contexts. We want self-starting individuals who will use the lab as an opportunity to test and explore their creative ideas collaboratively and have the drive to push these ideas further to potential solutions through their own networks and connections, as well as through those opened up by the lab. We expect all participants to participate actively in the lab outputs – apart from the project ideas and prototypes. This initiative will be funded through the Newton Fund, a five year programme that aims to strengthen research and innovation partnership between the UK and emerging knowledge economies. This will take the form of a ten day creative laboratory taking place in Rio de Janeiro, curated and led by Professor Paul Heritage (QMUL), produced by People’s Palace Projects do Brasil (a non-governmental organisation registered in Brazil with a mission focus on UK/Brazil knowledge-exchange in the area of arts and social transformation). At the end of the lab, participants will present their work to a group of mentors and advisors and interested organisations. The lab will provide the opportunity and space to pursue a creative project that builds on your own skills while also leveraging complementary skills and attitudes provided by the team as well as the mentors. Teams will be tasked with taking their ideas away and refining them into more developed project pitches. Limited further funding for this will be available through a competitive bidding process, managed by the AHRC. Projects should be ready to begin development work in early 2016 and be of the scale that they will be able to be at a state of completion in time for the Multiplicidade Festival, late 2016. Further detail on this process will be released following the Lab. Artists and Creative Practitioners should be actively engaged in work that can be applied to social and cultural change-making processes and open to experimentation and collaboration. They will need to be aware of the potential for their work to impact on wider audiences and be keen to share and promote outputs through a variety of different channels. Track record – a demonstrated history of high quality, innovative creative practice or research and how this is relevant to the key aims of the call for applications. Applications will be assessed by a panel comprising of AHRC staff and academic reviewers. We will let all participants know if they have been successful by 23rd September 2015. 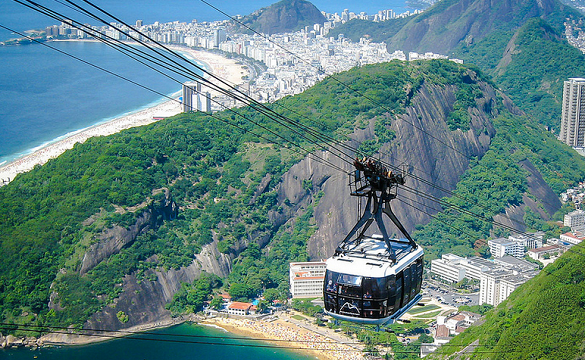 Participants should be able to travel to Brazil for the duration of the lab (25th October – 4th November). They will also need to have the capacity to work on project ideas (on site and virtually) post-Lab, during the period between November and December 2015. Multiplicidade: New Images and Sound – is a multimedia performance festival held in Rio de Janeiro since 2005, at Oi Futuro Flamengo and EAV Parque Lage (School of Visual Arts). The festival’s main goal is to unite at the same stage visual arts and experimental sounds. Over these ten years, Multiplicidade has hosted more than 200 concerts of Brazilian artists like Tom Zé, Arnaldo Antunes, Fausto Fawcett, Cao Guimarães, Chelpa Ferro, João Donato, Muti Randolph, Kassin, Siri, Lucas Santtana, DJ Sany Pitbull, Jaques Morelenbaum, Vik Muniz, Nana Vasconcelos, SuperUber and Raul Mourão; and international artists like Diplo (USA), Prins Nitram (DNK), Petahertz (FRA), Peter Greenaway (UK) with Eumir Deadato, Spooky (USA), The Cinematic Orchestra (USA), D-Fuse (UK), Daedelus (USA), Carlos Casas (ESP), Sebastian Escofet (ARG), Daito Manabe (JAP), Scanner (UK), AntiVJ (FRA), Principles of Geometry (FRA), among others. Over 650 artists have made their presentations at the festival. “The challenge here is to expand as a Festival, providing unusual presentations and experiencing new languages as the limits of the new digital media. The Festival schedules its performances with monthly intervals, a different format that provides artists new possibilities as performers. The intention is to be unique in each particular show. In addition, Multiplicidade has a plural and diverse programming, as its name already indicates”. In 2014, Multiplicidade started its 10th season during the World Soccer Cup, occupying Teatro Oi Futuro Flamengo for a month with an interactive installation exhibition called Nós that remixed historical performances of the festival using 17 synchronized projectors, robotic and digital mapping. In November, the festival then came back to EAV Parque Lage (School of Visual Arts) space for the second year, integrating its galleries to the exuberant nature of the Parque Nacional da Tijuca featuring a special programme with over 650 Brazilian, Spanish, English, American and Danish artists.